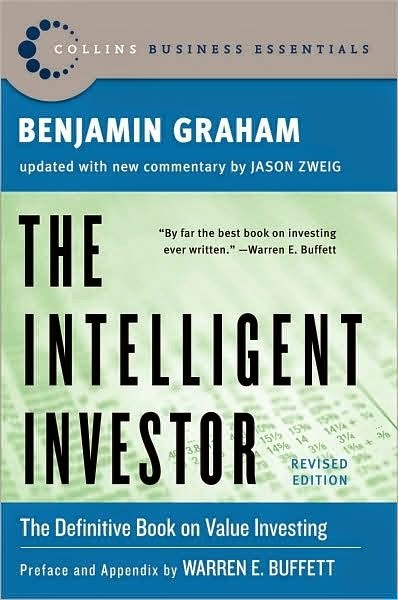 By many Benjamin Graham is considered to be the father of "value investing" and with his book "The Intelligent Investor", Mr. Graham brought value investing to the individual investor. "We recommend that the investor divide his holdings between high-grade bonds and leading common stocks; that the proportion held in bonds be never less than 25% or more than 75% with the converse being necessarily true for the common-stock component." 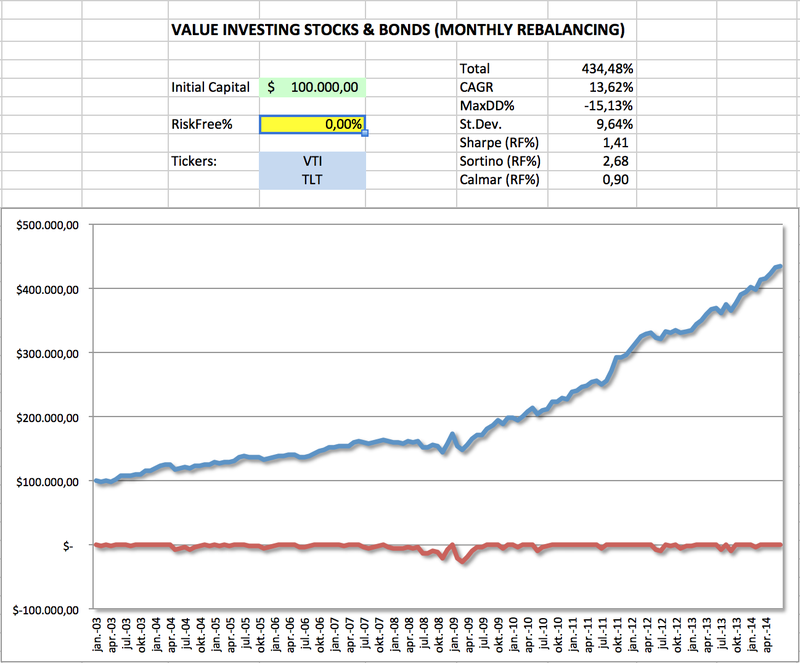 Intermittently rebalance a basket of VTI (stocks) and TLT (bonds) and allocate 75% of capital to the best performing EFT and the remaining 25% to the other ETF. The rebalancing frequency may be set for example to quarterly or monthly. Performance is measured using total return over the prior quarter or prior three months. Building such a "Value Investing By Proxy" model in Excel is fairly easy using monthly adjusted closes available from Yahoo! Finance (VTI, TLT).